Targeting the Congress, PM Narendra Modi said the grand old party is "synonymous with corruption" and has the habit of taking people of this country for a ride. 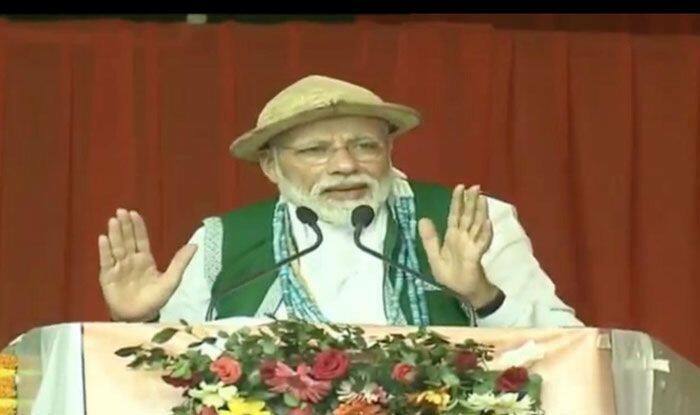 Prime Minister Narendra Modi on Saturday asked the people of Arunachal Pradesh to vote for a ‘chowkidar’ (watchman) who would provide security to the country even as he attacked Opposition parties, claiming they were “disheartened” by India’s growth and success. Kicking off his campaign for simultaneous Lok Sabha and Assembly polls in Arunachal Pradesh, the prime minister said the state is a “shield for the country with the people zealously guarding the border as sentinels”.